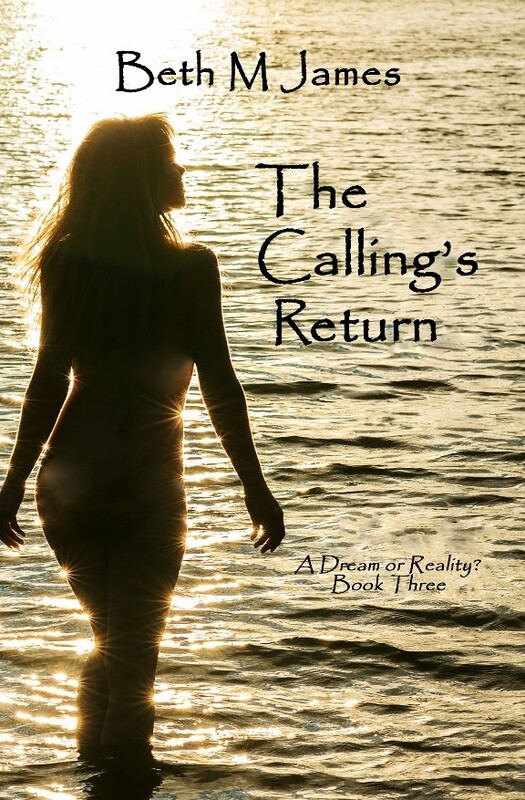 The calling returns…After Jessie disappears, Walt Arbol, Jr., heir to Arbol Publishing, can’t accept that his fiancée left him behind. He is determined to fight for the woman he loves in hope that she’ll realize her life as Jezamina is only a dream. Will he lose her forever to the other world or will the calling twist their fate once again? With consequences to follow…Dusken is a place of beauty and home to Jezamina. Her long-awaited return to the forest reunites her with Jezero, her warrior, and his men. But danger still abounds when Vyrone, the evil doyen to the Morlorns, will do anything to get what he wants and force her back into his possession. Is she willing to fight for her men, even if it means sacrificing her life? To determine her fate…Jezamina must protect the men she loves but will she survive when past and present worlds collide? Will Jessie or Jezamina find her dream or reality? First the calling...Jessie struggles with reality after she wakes from a coma and has to explain to Walt, her fiancé, that she's in love with another man, a warrior from a different world. When Walt and his parents want to take control of her life, she flees to a secluded cabin in Wisconsin to wait for the calling to take her back to Dusken and to Jezero, the one who's captured her heart. Finishing the dream...Walt is frantic to find Jessie. He's not about to lose his fiancée to a "dream." He'll do whatever it takes to convince her to put fantasy aside and get her to return with him to Chicago to resume their lives. And the promise of return...Will Jessie return to Dusken as Jezamina or will she have to accept that her life with Jezero is just a dream? A fantasy romance that begins in Chicago, Il...Jessie Rossen, a simplistic freelance photographer, has a great job and a handsome fiancé, Walt Arbol, Jr, who is heir to Arbol Publishing. Hesitant to marry, she encounters a "Jamaican queen" the morning after their engagement party, given by the Arbols at their estate. The queen senses Jessie's troubles and has just the cure for what ails her. Danger soon follows when a fire causes Jessie to be placed in a coma. Takes place in Dusken...While comatose, she wakes as Jezamina and to Jezero, a protective warrior, after he finds her in the sea and takes her to Dusken, his home. Having no memory of her past, she must trust him in order to survive in his world, one that includes the Morlorns, Jezero's worst enemy, and Vyrone, who wants her for himself. And has them wondering...As Jessie, she wakes again in the hospital with Walt hovering over her bed. But how can she explain to her fiancé that she's in love with another man, one from a different world? Can Walt convince her that it's only a dream? Gitana Sothers has turned thirty and now lives on a weathered houseboat in Sausalito after John, a prominent doctor, divorces her for his pregnant mistress. Gitana's one goal in life had been to start a family, but her inability to become pregnant has left her without a plan. When life seems hopeless, she meets the rugged Cade DeVerine, a sculptor and gallery owner, who's allured by her beauty and recognizes her talents as an artist. He firmly doesn't want a family which alleviates pressure from Gitana as she breaks down her barriers to fall in love again. However, Gitana's happiness doesn't last when a dark secret from the past threatens her future with Cade. She's torn between letting love go or having the one precious thing she wants the most.